It is Purim, again. And once again we sit huddled in the synagogue, tightly squeezed together as we gaze at the ancient scroll and hear the reading of the Megilla; the scroll. For there is an evil man, his name his Haman, and he wishes to destroy my people, says Esther the Jew. He must be stopped lest my people are annihilated. Yes, we have lived this story in every generation. Call him Haman, call him Chmielnicki, call him Arafat, call him Hitler, Stalin, Achmenajad, whatever his name is he appears in every generation and he is evil and he wishes to destroy our people. For there is one nation, scattered and divided among the nations of the world and it is not in the king's interest to keep them alive. There is always an evil adviser explaining why it is the Jews who are the source of all troubles, why getting rid of the Jews will solve all the worlds that plague the world. The Jews are our misfortune. It was not Hitler who came up with this idea, he only improved on what his predecessors had been doing for more than 2,000 years. We the people have always struggled for survival, and we still do. I see it and feel it nearly everywhere I go. "The Jews own the stores, the Jews do not really work, all the Jews are bankers. The Jews talk down to others." Yes, in my travels I have heard all this. And the odd thing is the people who say these things to me are not "Antisemitic" but good people. Yet I know that these views can easily turn into open hatred. We have seen it happen before. And yet there is hope. The Purim story brings hope. Some say it is all fact and some say it is just a story, written to give the Jewish people of every generation a ray of hope. For in the story the Jews are allowed to fight back, and once given a fighting chance - they win. In the story the Jews survive, Mordechai the Jew becomes a national hero and the Jews are allowed to live in peace in Persia. He's always on trail for just being born. In reality things rarely end well for the Jew of the world, and that is why we have the State of Israel, which is now regarded by the world as the trouble maker nation. How dare we fight back! Alas, as the Bible says, we are a nation that dwells alone. But those who bless us, they in turn shall be blessed. This has been proven countless times throughout history. All you need to do is study your history. So in our story today two personalities stand out, Mordechai "The Jew" and Queen Esther, his niece. On the other side we have the evil Haman and the bystander King Ahashverosh of Persia. Mordechai the Jew, he has the great honor of going down in history with the great title "The Jew". For he was one man, just one man, with no army and no support. And what did he do? He refused to change, he refused to bow down as the evil one, Haman, walked by, he refused to "fit it". He refused to "go along with everyone else". Mordechai the Jew, the one who stood up to tyranny, the one who refused to compromise. And Esther the Queen. A Jew who could easily have forgotten her people and lived the good life among the Gentiles. But her wise uncle reminded her. Perhaps for this reason you have reached this lofty position, and if you do not act on behalf of your people, help and redemption will come from elsewhere and you and your father's household will be wiped out. Esther takes action. she risks everything, she risks her life and stand up for her people. There is a woman...and her name is Esther and she is our queen and she stands up and says...There is an Evil one and we must stop him. She has the ear of the king and she uses it, not for her personal benefit but for the people of Israel, the people persecuted throughout the ages. In so many lands and by so many nations. Mordechai and Esther, they stand up, one man, one woman. They stand up. And it reminds me of our own times. The fight for national liberation. The year is 1947 and Jewish rebels are about to be executed by the British Mandate authority. Two Jews refused to be executed, they prefer to die on their own terms, they take their holy lives, they recite the national anthem, the embrace with a hand grenade between them and like Elija the prophet they ascend to heaven in a ball of fire. Two Jews. And I recall the words of the great leader Menachem Begin of blessed memory. I can see his expression, God rest his soul, his words...Two Jews, Moshe Barazani and Meir Feinstein, a Polish Jew, an Iraqi Jew, a Sephardic (Spanish heritage) Jew and an Ashekenzi (Germanic heritage) Jew. Two Jews, two brothers. 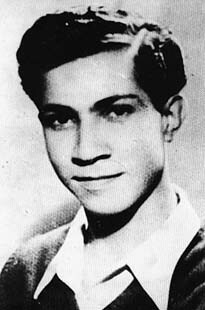 Moshe Barazani, of blessed memory, national hero. Thus the story of Purim, in one form or another, repeats itself in every generation, and that is why this morning I sat next to my friends as we listened to the story again, even though we all know it by heart. We listen because we know the message is as relevant today as it was in ancient Persia, we know the dangers we face. This is the message of IKI Krav Maga. Learn your history, be prepared. Never become lazy or complacent. And remember all it takes to get started is one man, one woman, who refuse to give in to tyranny. Stand up, or as in the case of Mordechai the Jew, refuse to bow down. Stand up and resist evil. Like Esther, refuse to forget who you are and what your true purpose is in life. One man, one woman, can make the difference. Choose to be that difference. The history of a fighting nation, from Biblical times to our own. 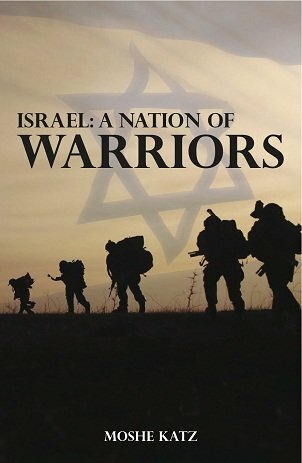 The history of the Jewish people as a fighting nation. Relive the Bible from a new perspective. 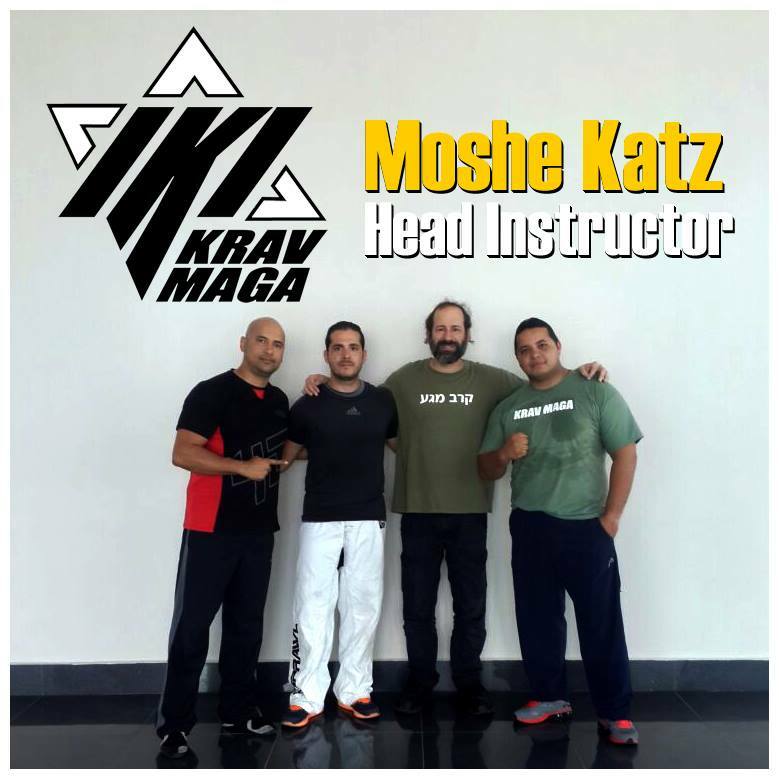 Moshe Katz with the IKI team Panama.